When You Want Clean, Fun, Family Entertainment. From big stage shows, to close-up magic in the plam of your hands. Comedy at its best - magic at its worst! Balloon animals and sculptures for guests of all ages. A unique strolling music act your guests will remember! Make your next event Fun and Successful! 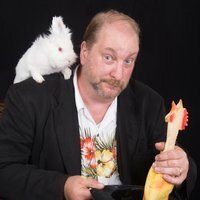 Mike has the experience of performing clean, fun, family entertainment for over 25 years which means you and your guests will have a good time without the fear of embarrassment that comes from some inexperienced performers. 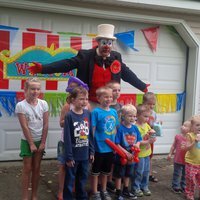 His signature magic shows, clown antics, balloon twisting, and strolling music have been featured at hundreds of birthday parties, professional events, festivals, and special events of all kinds. 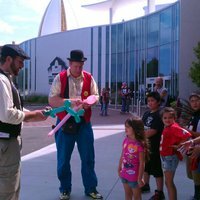 Although Mike enjoys performing at children’s birthday parties, he also provides entertainment for corporate parties, nightclubs, trade shows, restaurants, weddings, grand openings, fundraisers, banquets, schools, libraries, and street shows. 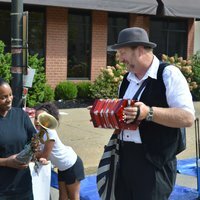 Mike lives in the thriving metropolis of Louisville, Ohio, and frequently performs in Akron, Canton, Alliance, Hartville, and other areas in Ohio. For corporate events and trade shows, he travels nationwide. 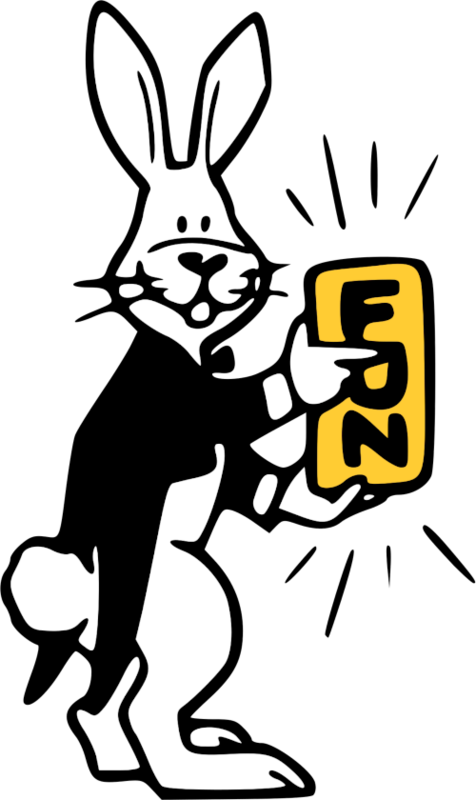 For schools and libraries he travels throughout Ohio and surrounding states. For birthday parties, he usually stays in Stark and surrounding counties. Copyright © The Mike Salvino Magic Show. All rights reserved.